The government of Zimbabwe early today imposed internet shutdown over intensified protests against the increase of fuel prices. The violence rose on Monday after President Emmerson Mnangagwa raised fuel prices by 150 percent. The cost of a gallon of gas now costs almost $13 (Ksh1,300). Zimbabwe becomes the most expensive in the world in terms of fuel. A litre of diesel now costs $3.11 per (Ksh316.29) and and $3.33 (Ksh338.66) per liter of petrol. So far, the government reports that three people have died during confrontations with the police. However, Lawyers and activists say the toll was much higher and that security forces used violence and carried out mass arrests to quell the unrest. Jacob Mafume, a spokesman for the Movement for Democratic Change opposition party, says that the move could land the country into more violence perpetrated by the government. “The total shutdown of the internet is simply to enable crimes against humanity. The world must quickly step in to remove this blanket of darkness that has been put on the country,” he told Reuters. The Zimbabwe Association of Doctors for Human Rights has said it had treated 68 cases of gunshot wounds and 100-plus other cases of “assaults with sharp objects, booted feet, baton sticks”. The country, which analysts say it is degenerating to former President Robert Mugabe style of leadership, first shut down the internet access on Tuesday, before briefly restoring some services on Wednesday. 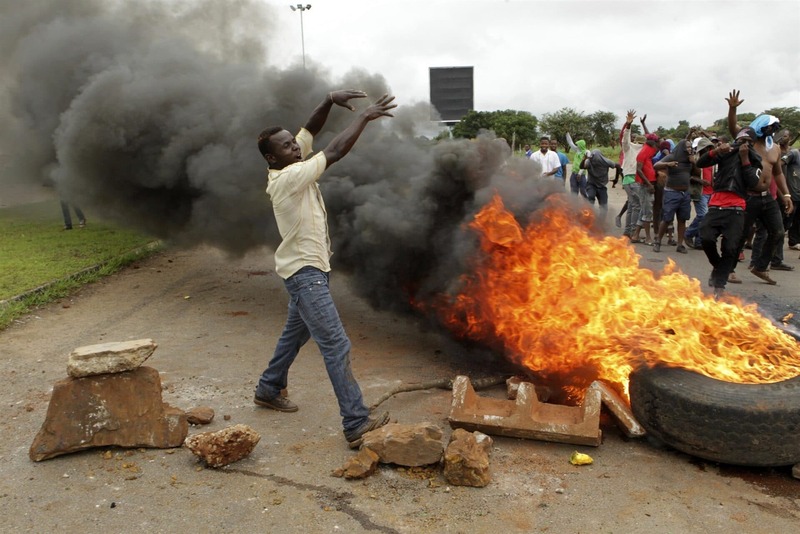 Information Minister Monica Mutsvangwa said the demonstrations amount to “terrorism by opposition”.